When it comes to New York real estate, the Stanton Hoch Team has much to be thankful for—not the least of which is being ranked in the top .01% of all real estate agents in the country by The Wall Street Journal. Of course, they couldn’t do it without their clients. 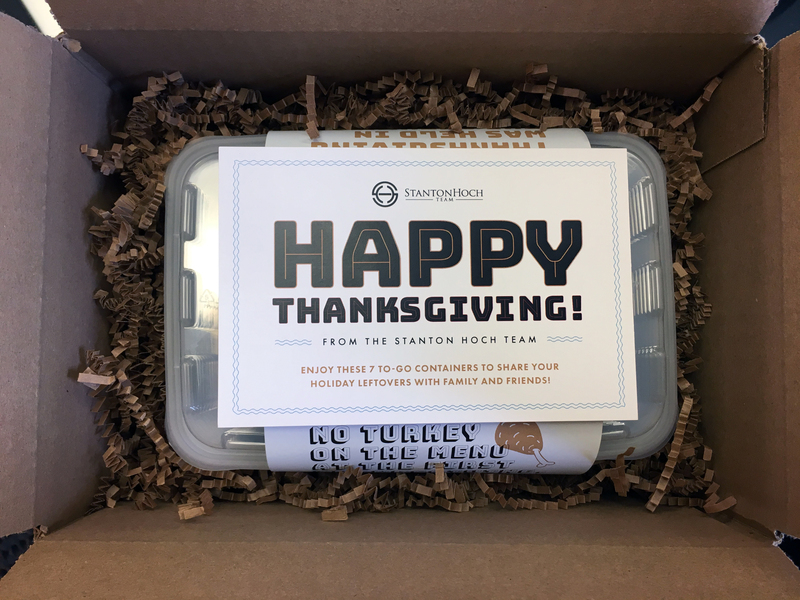 To help Stanton Hoch express their gratitude, we developed a festive Thanksgiving Promo that included 7 to-go containers designed to hold leftovers from Thanksgiving dinner. 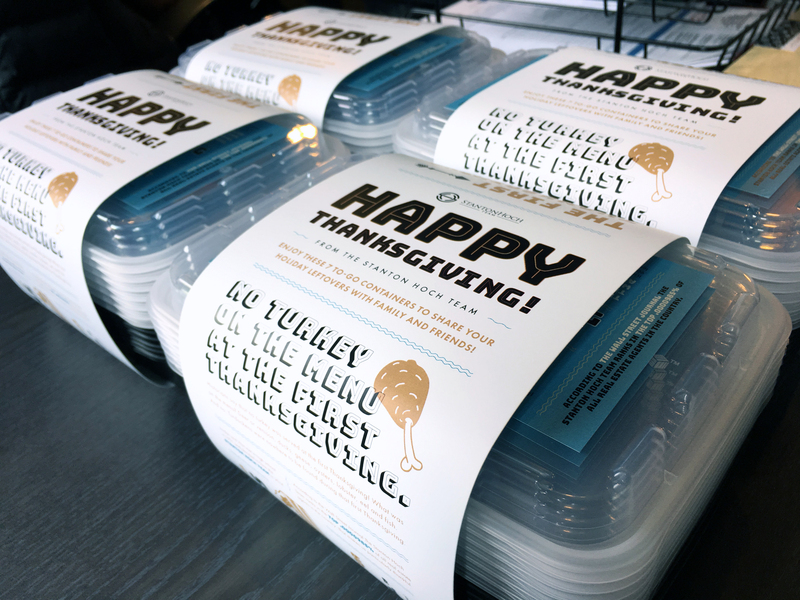 In addition to the handy containers, the promo package included labels on the wraparound sleeve and container lids that were imprinted with fun facts about the holiday (“No Forks at the First Thanksgiving,” “Don’t Blame Turkey for the ‘Food Coma,’” and more). Intermingled with the Turkey Day trivia were eye-opening statistics and surprising facts about Stanton Hoch. 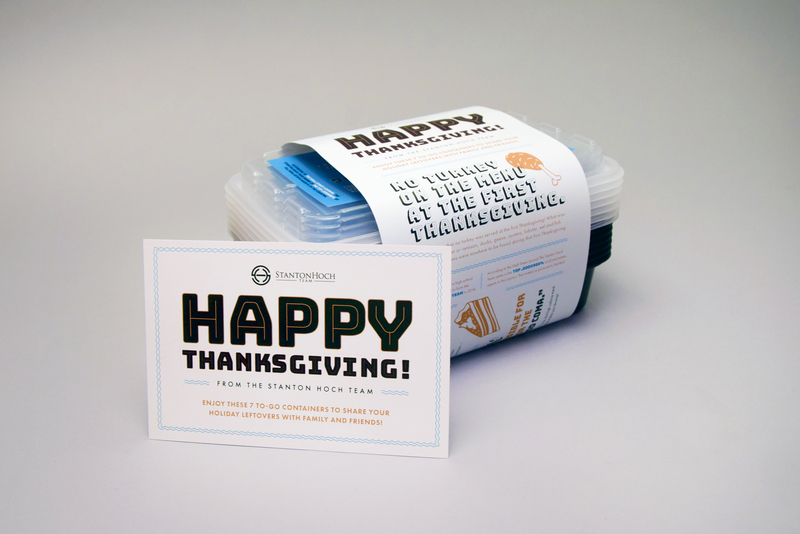 A separate, Stanton Hoch-branded notecard featured a special Thanksgiving message to clients, tying the promotion together. 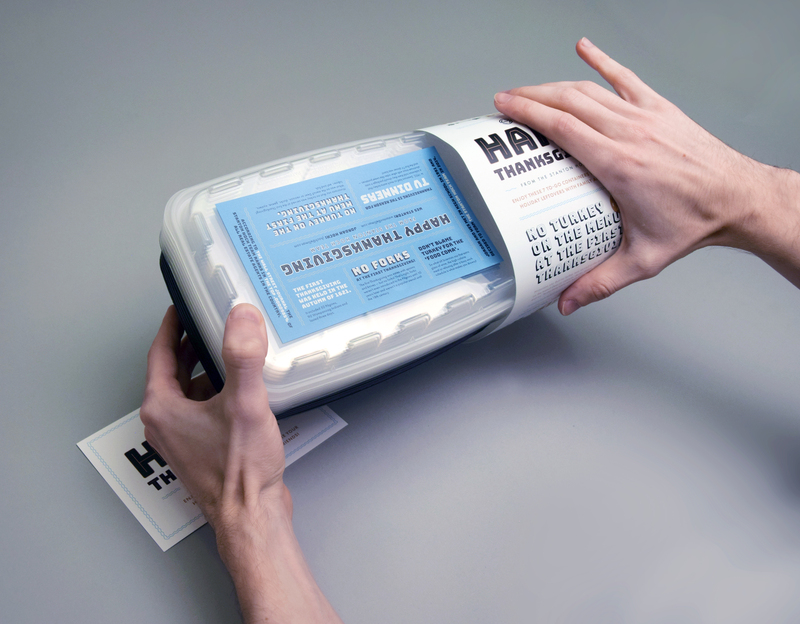 The end result kept Stanton Hoch’s name in front of existing and prospective clients during the holidays, and beyond.